Are you thinking about homeschooling but don't know where to start? Are you already homeschooling but are thinking about changing a few things? 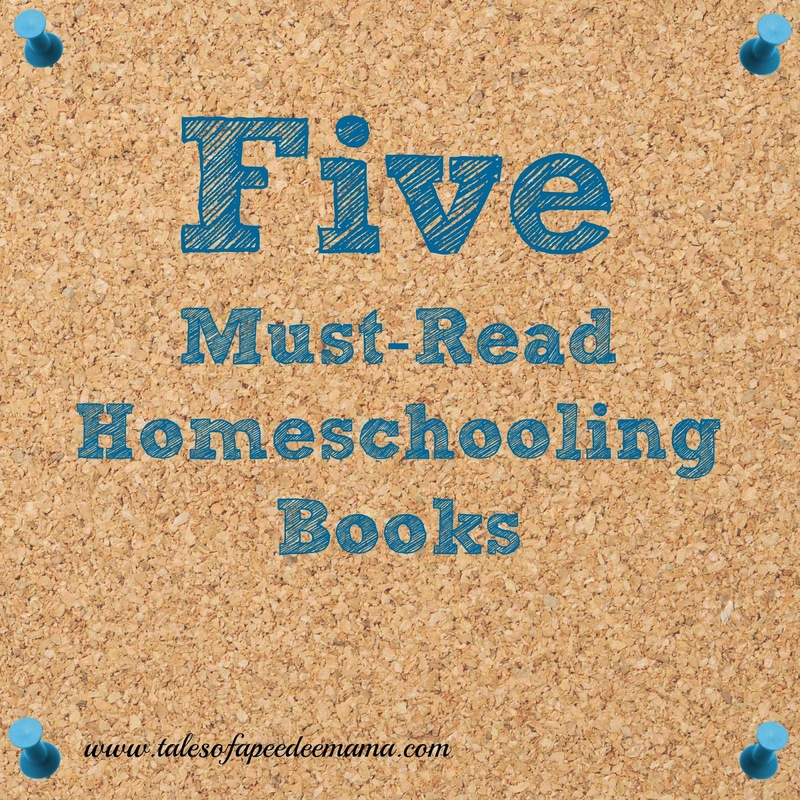 After talking with several of my homeschooling friends, I've compiled a list of 5 must-read books about homeschooling. These are good reads no matter what stage you might be in for your homeschooling. 1. Homeschooling: A Patchwork of Days: Share a Day With 30 Homeschooling Families - This book by Nancy Lande is filled with scenarios of 30 different homeschooling families. This allows you to see what a variety of homeschooling philosophies, family dynamics, etc., looks like. 2. Things We Wish We'd Known: A Guide to Abundant-Life Homeschooling - Who better to learn from than experienced homeschoolers? In this book by Diana Waring, 50 veteran homeschoolers share their tips and insight to answer those questions you probably have. 3. 102 Top Picks for Homeschool Curriculum - If you aren't sure what curriculum you want to use, you can't go wrong with this Cathy Duffy book. In it, you can find charts that will quickly help you figure out what the features are for the top picks as well as reviews of the top picks. 4. The Ultimate Guide to Homeschooling - This book by Debra Bell is extremely helpful. Anything you might be wondering how to manage, you can probably find in this book. 5. The Well-Trained Mind: A Guide to Classical Education at Home (Third Edition) - Susan Wise Bauer is the leading name in homeschooling with a classical education. While classical might not be for every family, if you are at all considering using this approach, you need to read this book. 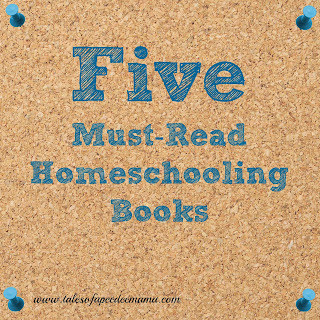 There are hundreds of good books for homeschooling mamas (and dads) to read. This is just a really short list of those that I consider *must-reads*. What is your favorite homeschooling book? Is it one of these, or do you have a different one to recommend?